Summer is fast approaching! 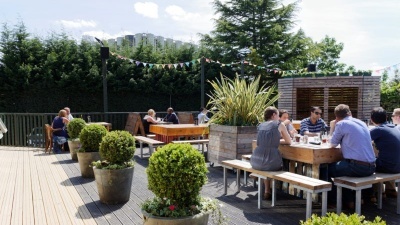 What a better way to spend your days than in the fantastic Beer gardens of Leeds! 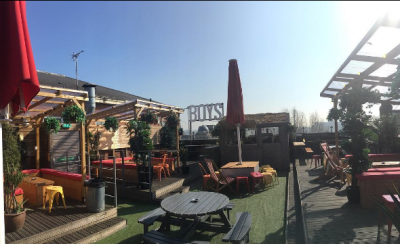 These hidden gems are dotted all around Leeds, when the suns out grab your sunglasses and head down to one of these 5 places! One of Leeds’ most popular gardens! 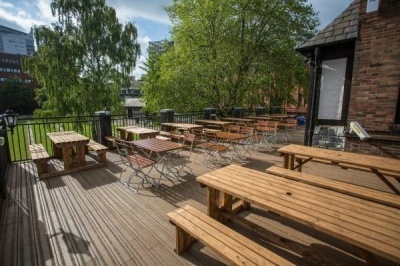 Headrow house has a fantastic second floor roof terrace that is filled with lots of seating, a bar and kitchen. Just in case you need to line your stomach, Headrow house offers food alongside tasty cocktails, beers and gins to quench your thirst. Offering many deals throughout the week, one of the most recommended places to get together with your friends and enjoy the warmth of Leeds (very rare) sunny days. Headrow House, Bramleys Yard, 19 The Headrow, Leeds, West Yorkshire, LS1 6PU. Belgrave has definitely earned its place on the list of best beer garden in Leeds. 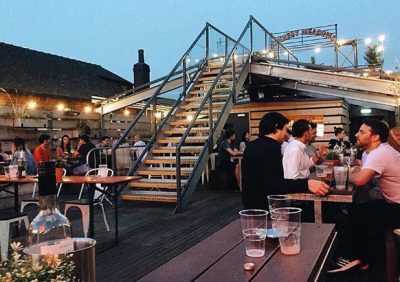 As the sister bar company with Headrow house, their rooftop also has plenty of personality and character. The views are brilliant and you are surrounded by quirky seating areas including small heated sheds. The terrace has a handy bar so you don’t have to climb the stairs every time you fancy a drink! Fancy something to eat, don’t worry there is plenty of street food from Dough Boys Pizzas and Patty Smiths Burgers. Belgrave Music Hall and Canteen, 1A Cross Belgrave Street, Leeds, West Yorkshire, LS2 8JP. We all love beer gardens but imagine entering a bar that has three, yes three beer gardens! The perfect little city centre sunspot, grab a chair and a beer and enjoy the sun in style. With excellent deals on food and drink. If you fancy a beer, well great, this bar has a wide selection of beers on offer that constantly change so you can try something new. If wine, spirits and cocktails don’t completely satisfy you and your feeling peckish they have a Secret Pizza Company menu. Parkside Tavern, St John’s House, Merrion Street, Leeds, LS2 8JE. 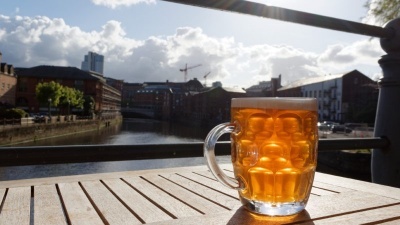 Overlooking the River Aire, Calls landing is known for its popular beer garden. People gather here in the summer to enjoy the outdoor space. With plenty of seating and much room for standing you may as well call your friends after work and head down for a drink or two! Hungry? Why don’t you snack on some oysters in the lovely Leeds sunshine? Calls Landing, 36-38 The Calls, Leeds, West Yorkshire, LS2 7EW. The Faversham offers affordable drinks and delicious food. The late night parties and occasional summer BBQ’s attracts many young people to this south facing beer garden. It is one of the most popular in the city, in an excellent sun spot where you can enjoy the sun all day long. Plenty of seating outside and a conservatory with a bar, you can enjoy a beverage in the sun with friends or family. Spencer Properties are very proud to sponsor the following organisations within our local community. With our experienced team and large range of properties around Leeds, we can find the perfect property for you. With over 40 years experience in lettings, every area of our business is built on exceeding client's expectations. Very efficient and go the extra mile. I've been renting a from Spencer Properties for a while now and have no major complaints. I was able to move in to the property just two days after the first viewing with all the paperwork done smoothly, which was excellent as I needed somewhere at short notice, and any maintenance issues, etcetera, have been deal with pretty swiftly. Certainly a better experience than I've had with letting agencies in the past. Good experience, quick with resolving problems. Since we were looking for a new property with Spencer properties it was easy to book an appointment for viewing. Then we decided to move in to one of their property it was easy to sort it out. When we signed to contract and sent all our details the property was ready to move in. So far we had only one minor maintenance issue but it was sorted straight away. I have been renting through Spencer Properties for a few months and so far the experience has been much better than I have had with other agencies. The processes of viewing the flat, signing the contract and moving into the property were seamless and easy. There were a couple of discrepancies between the inventory and the condition of the flat, but once we pointed them out these issues were quickly resolved. I have only had contact with Frankee so far, who has been friendly and professional throughout. Overall I have no major complaints. I've had quite a few issues with my boiler, but landlord is always very quick to fix. They also put locks on my windows at my request. Very good landlords, very helpful and very professional. I would always recommend! Very efficient dealing with repairs or queries with flat. Very fast communication in general. Overall, it’s been a pretty good experience. Everything works and repairs are always dealt with extremely efficiently and without any fuss.